﻿ Best Price on Villas Maranata in Las Terrenas + Reviews! 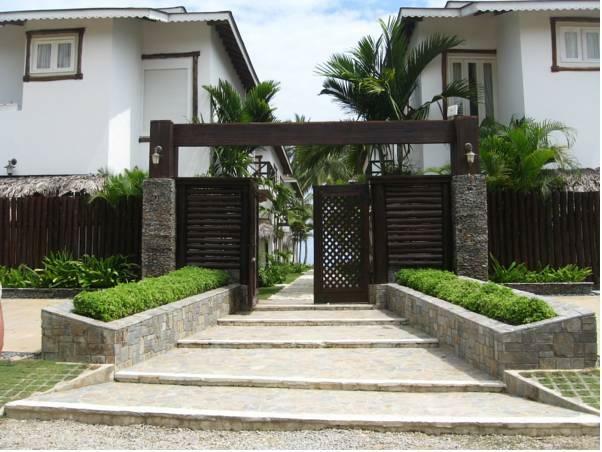 Villas Maranata is located on a private stretch of Coson Beach, in Las Terrenas. This elegant 3-bedroom villa offers an indoor pool, a hot tub and a patio with sea views. Featuring tropical-style décor and wooden furniture, Villas Maranata have a fully-equipped kitchen and a spacious terrace dining area. A Chef is available for breakfast or lunch orders. Guest provides ingredients and chef will prepare. Pricing provided upon request. Bedrooms include a balcony and private bathroom. Satellite TV and free WiFi are provided. Villas Maranata is set within a small and secured complex of luxury villas, with lush gardens and a horse-riding center. The 24-hour reception can help arrange, massages, car rental and excursions at an additional cost. Shops, restaurants and bars can be found in the town of Pueblo de Pescadores, just a 15-minute drive away. El Catey International Airport is a 20-minute drive away. Free parking is available at the complex. The property's beach is the site of Hawksbill Sea Turtle hatching. A deposit via bank transfer is required to secure your reservation. (see Hotel Policies). Villas Maranata will contact you with instructions after booking. Please inform Villas Maranata of your expected arrival time in advance. You can use the Special Requests box when booking, or contact the property directly using the contact details in your confirmation.